Please do not provide automated subscription emails, such as Yahoo Groups. (Families and nearby groups are unable to submit inquiries through these emails.) Subscription request emails should be provided to families after they request to join your group. Please do not publish or share our group email. ONLY available if your group has a working contact form on your website or a phone number offered to the public. Note: You must have another method of contact for the email to be non-published. A contact form is acceptable as long as this method will still be responded to in a timely manner. If THSC and families cannot reach your group, your group will be removed from display. Used for THSC purposes only. For privacy, if you do not wish the street address shared outside of your group membership, please provide only city and zip code. City and zip code must be included. You may list more than one. See Types of Groups for definitions. Other than the email shown above, you may also provide a private email for direct contact with the THSC Leadership Support Team. Please let us know if you would like to have REVIEW Magazines delivered. You may request additional magazines for special gatherings by contacting THSC at leaders@thsc.org. Please encourage your families to sign up to receive the REVIEW magazine at home. They may do so at on our website. Group will encourage members to support THSC in a manner best suited to your group (for suggestions see THSC Partner Group Program page). Group agrees to provide updates annually and maintain current contact information with THSC (annual updates due every August). I represent the home school group submitted on this web form, and I agree to the THSC Partner Group Agreement terms. THSC offers access to multiple benefits through group partnership as a resource to better serve home educating families in Texas. THSC is an organization with Christian values. We do not require that THSC Partner Groups to hold the same values. We may determine that the values or activities of some organizations conflict with those of THSC, and we reserve the right to grant, deny or revoke partnership to any group. Only home school groups qualify for partnership. Other interested businesses may email advertising@thsc.org. The THSC Partner Groups listed on thsc.org reflect the freedom of home educators in Texas to choose from a wide variety of home school philosophies and teaching methods. 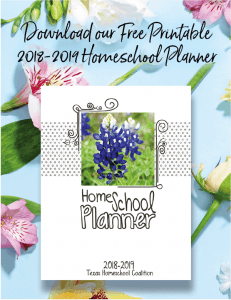 Opinions and attitudes expressed in articles do not necessarily reflect the beliefs of the Texas Home School Coalition. THSC does not endorse or advocate any one method, philosophy or views expressed by THSC Partner Groups. This list has not been provided for solicitors, and should not be duplicated or copied for solicitation. Inclusion on this list is, in no way, an endorsement by THSC nor an indication of similar values as THSC. The board encourages home educators to seek God's will in determining what is best for them, their school, and their students. The information on THSC.org or in links provided by this website or by THSC staff are not to be misconstrued as legal advice or a recommendation regarding any of the legal issues or problems described herein. We do offer intervention services for homeschool families in order to help families when they encounter organizations that limit access or participation simply because a child is homeschooled. This intervention is a THSC member benefit, and is not part of the THSC Partner Group Program. While THSC can give you pointers on how to construct the bylaws for your THSC Partner Group, we cannot give legal advice on the final wording and its legal effect. Furthermore, THSC does not assist in resolving group conflict or involve itself in ongoing issues within THSC Partner Groups. Groups seeking legal advice on the application of their bylaws in a particular situation should seek assistance from an attorney.